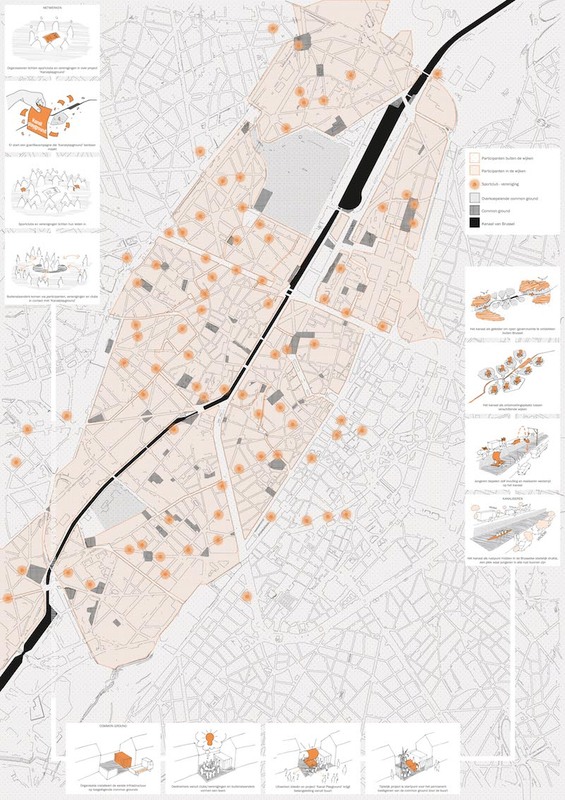 RVW’s intervention strategy ‘Cités Canalisées’ for Brussels’ Canal Zone was selected for the atelier ‘vision’. This workshop took place after the ‘Kanal Play Ground Open Call’ (2013) for temporary transformations during the summer of 2014, organized by Platform Kanal and AWB. Can we make the youngsters claim urban space to fit their own needs? Instead of the architects, youngsters are given the means to act. The project proposes a scenario that allows youngsters to fill in autonomously a competitive process. The scenario is a flexible chain reaction of activities. The competition stimulates the youngsters to act within the scenario. 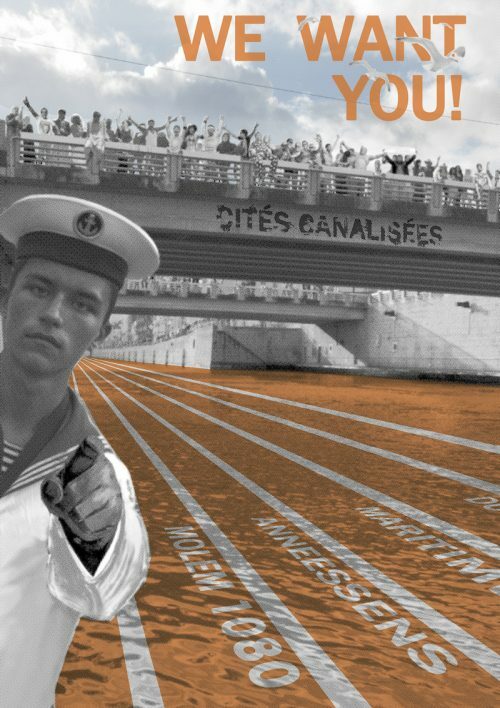 The aim is to put the qualities of the canal and the valuable heterogeneous places in their own quarters to the fore and make them tangible in favor of the youngsters. These added values can consolidate a long-term urban consciousness. It will be a process where the different in-between steps and social interactions are more important than the final result of the competition.